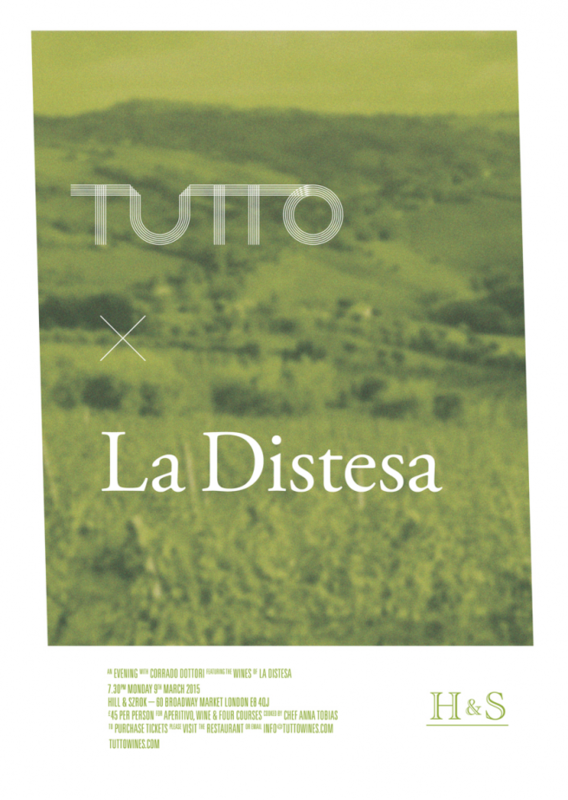 We are pleased to announce that Corrado Dottori of La Distesa will be joining us for the first time in London in March and to celebrate, we are hosting a couple of events at Hill & Szrok and P.Franco. The wines that Corrado makes from vineyards set in and around the hillside town of Cupramontana in Le Marche, in particular his riffs on the local Verdicchio grape, are fast becoming some of our favourite in Italy. He is a prominent figure amongst the country’s artisan growers and as the author of the book Non e il vino dell’enologo and his participation in director Jonathan Nossiter’s follow up to Mondovino, Natural Resistance offers a passionate, articulate voice for those who practice real agriculture and the trials and tribulations technology and modern tastes place on the kind of wines he loves. To sit down and chat with Corrado over a glass or two is a real treat. We hope you can join us at one of the following events. On Monday 9th March, Corrado will be joining us at Hill & Szrok to present four of his wines alongside a menu cooked by our friend Anna Tobias, head chef of one of our favourite London restaurant’s, Rochelle Canteen. Corrado will chat a little about himself, Le Marche and his wines over aperitivo, before we move onto the meal proper. The menu and wines are as follows. On Tuesday 10th March we are heading up to P.Franco in Clapton, where Corrado will host an intimate tasting of his wines and chat a little bit more about his book, the Natural Resistance film and the issues facing artisan winemakers and farmers in Italy today. Given that Corrado’s book or the film are not yet available in the UK, the night will provide a rare opportunity to hear these stories first hand. Over the course of the night Corrado will pour guests a glass of each of the following wines, to be served alongside the bar’s roster of top-notch salumi and cheese.